All the children in Class One worked very hard when exploring how to make a winding mechanism. 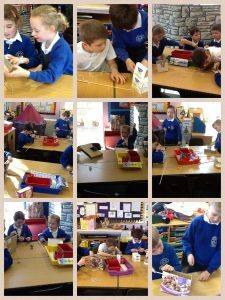 The children had to work together and they had to solve lots of problems to make sure that the drawbridge went up and down. 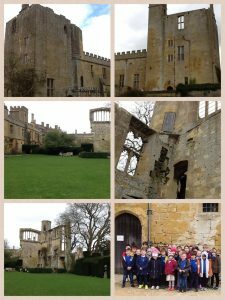 Class One had a very exciting time visiting Sudeley Castle with Class Two. Everyone enjoyed finding out about the castle and the chapel. The children were able to use their knowledge about castles when answering questions and were keen to identify the different parts of the castle. Everyone especially enjoyed the maze and the wooden castle! 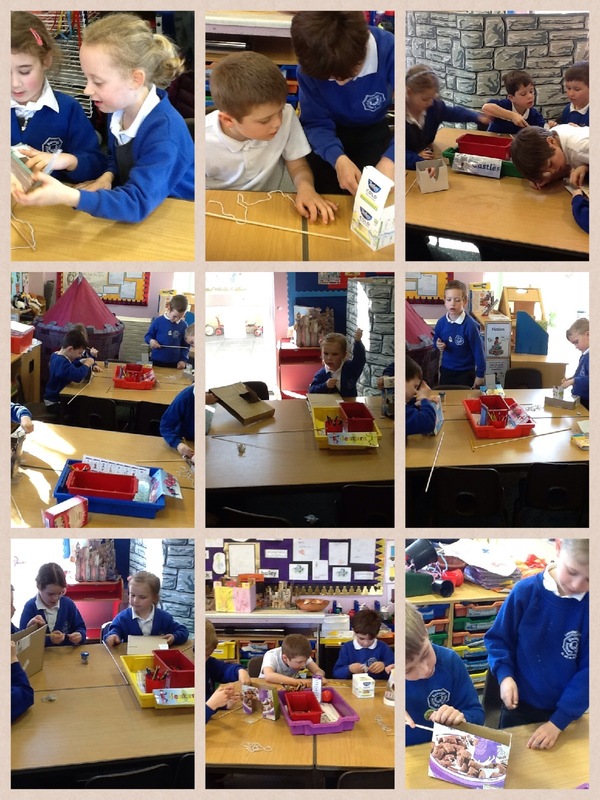 Everyone in Class One enjoyed taking part in the workshop about castles. 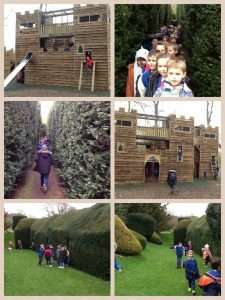 The children found out about how castles were built and who lived in the castles. 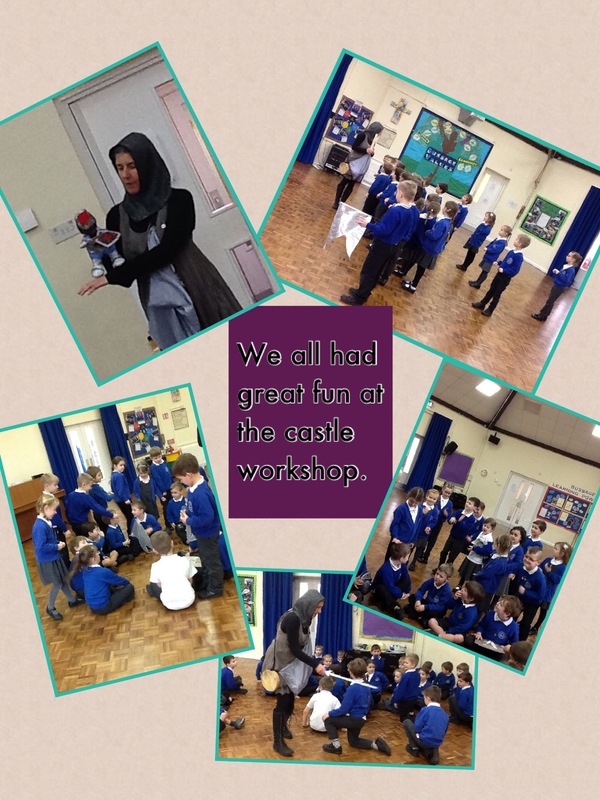 The children enjoyed meeting the knights and they asked lots of questions. 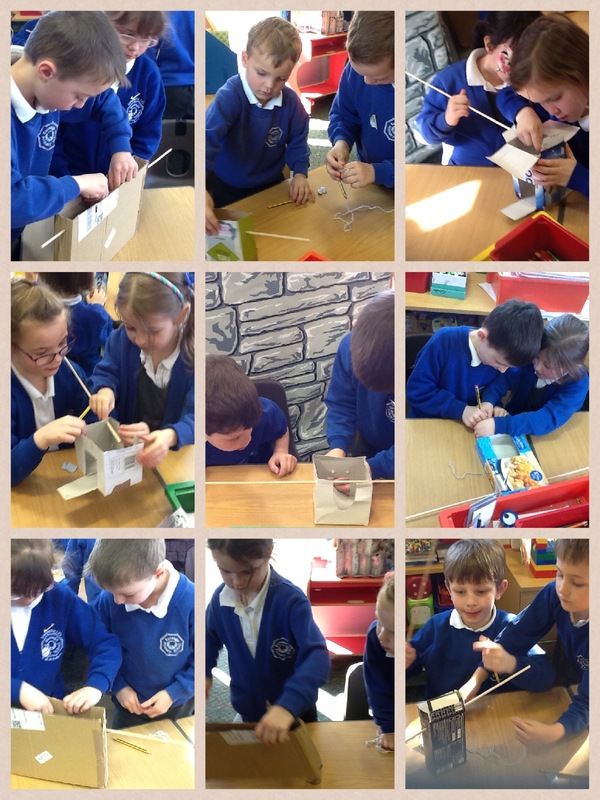 We are all busy finding out about how castles were made and are using different resources to help us learn about the different parts of the castles. 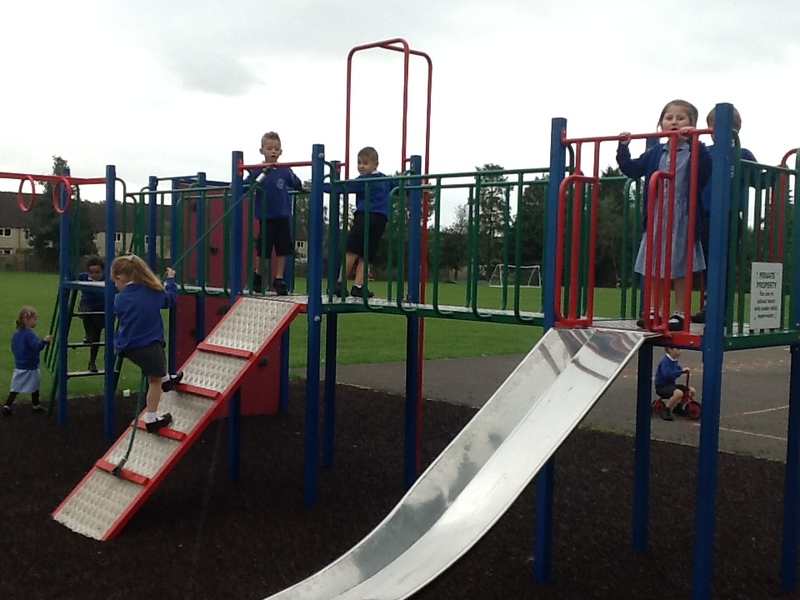 We have had a very busy start to the term! 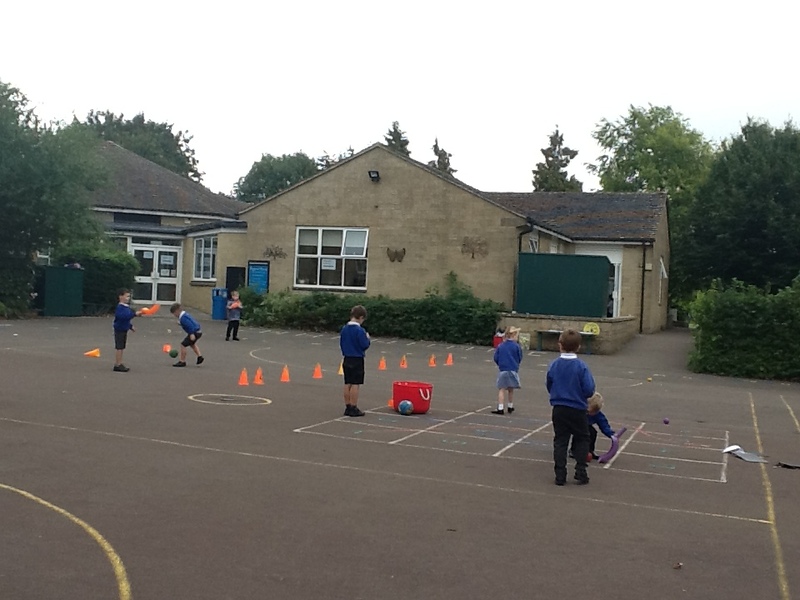 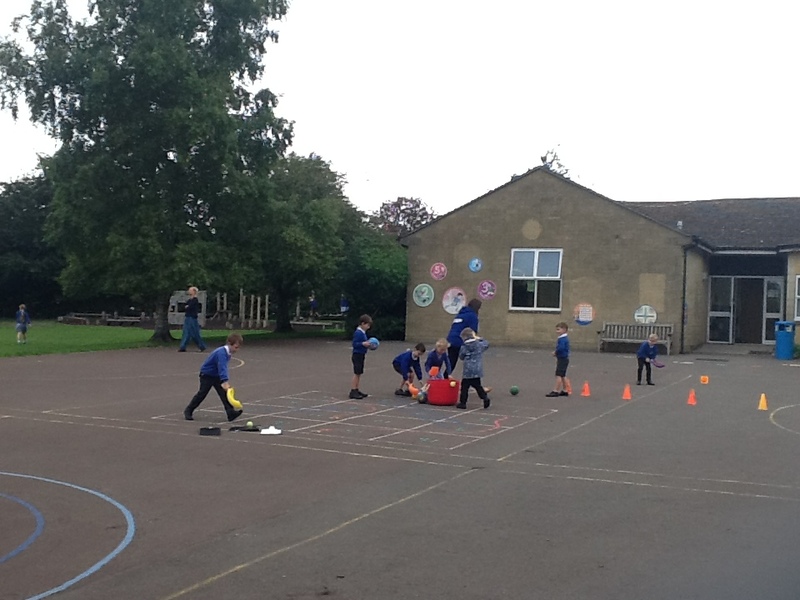 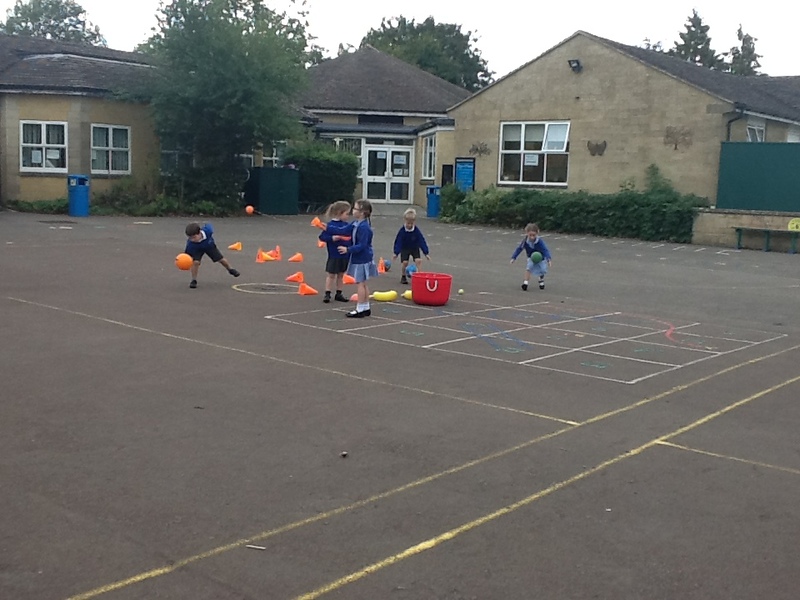 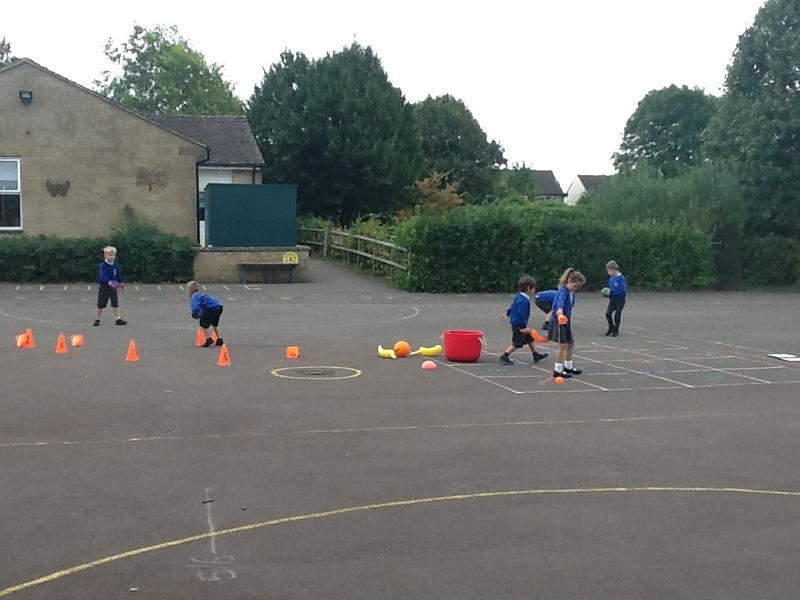 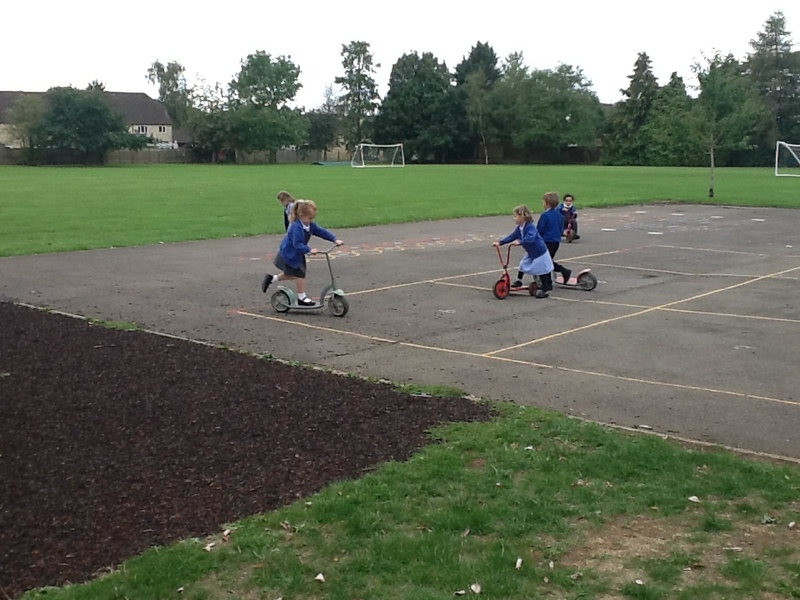 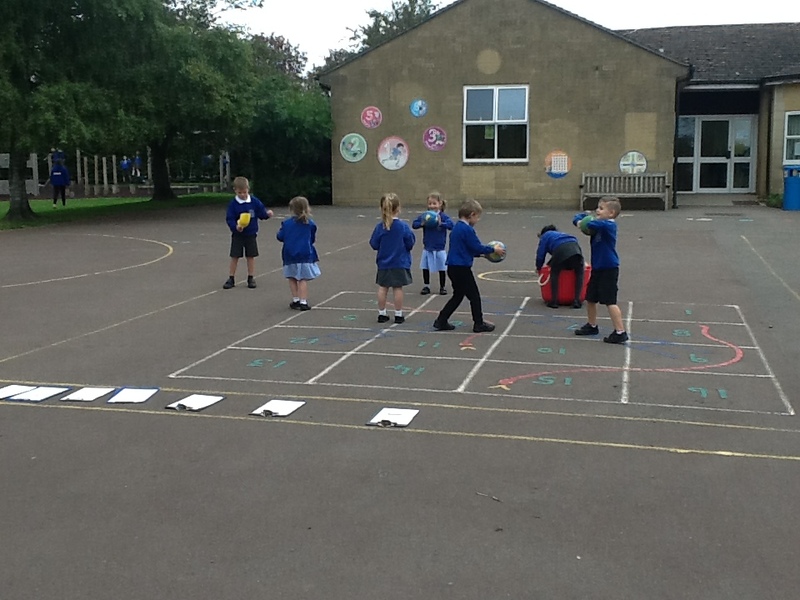 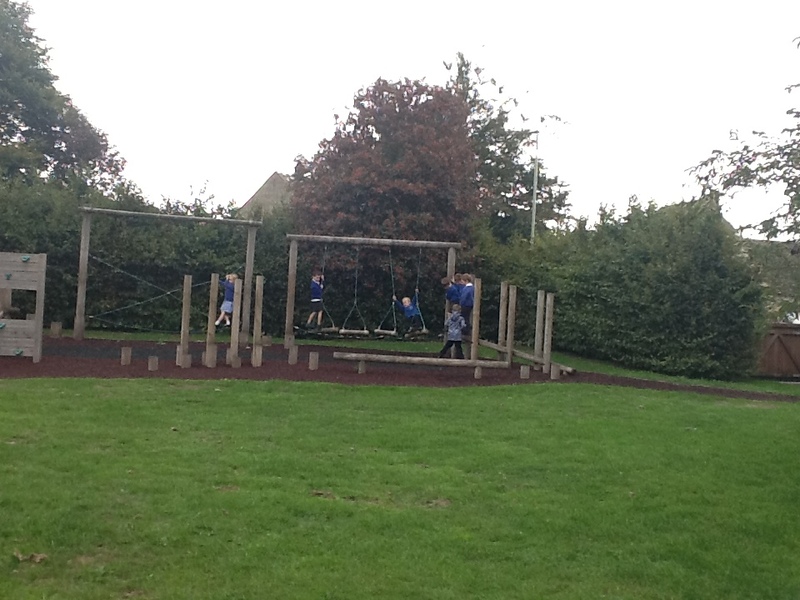 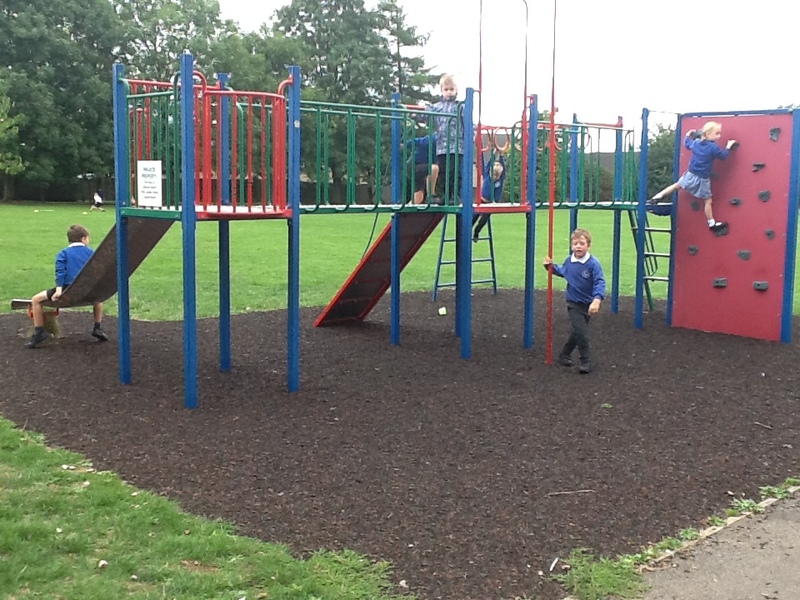 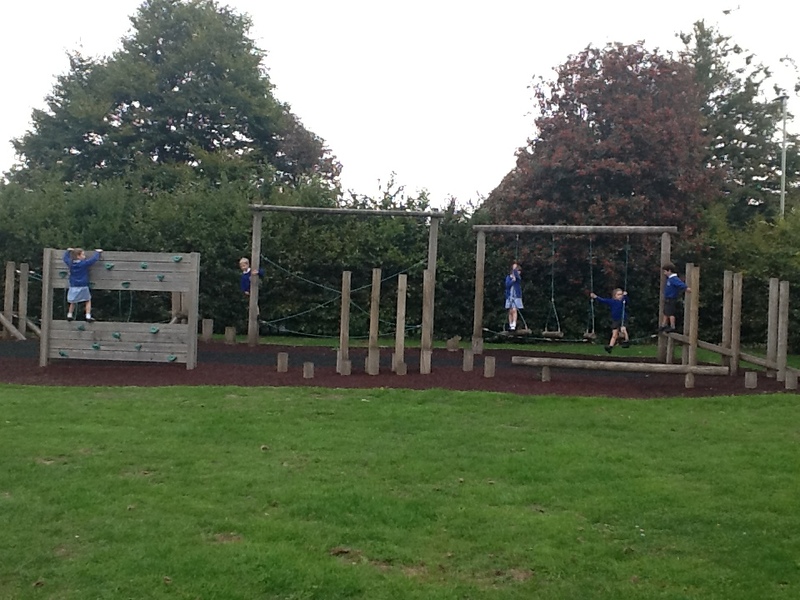 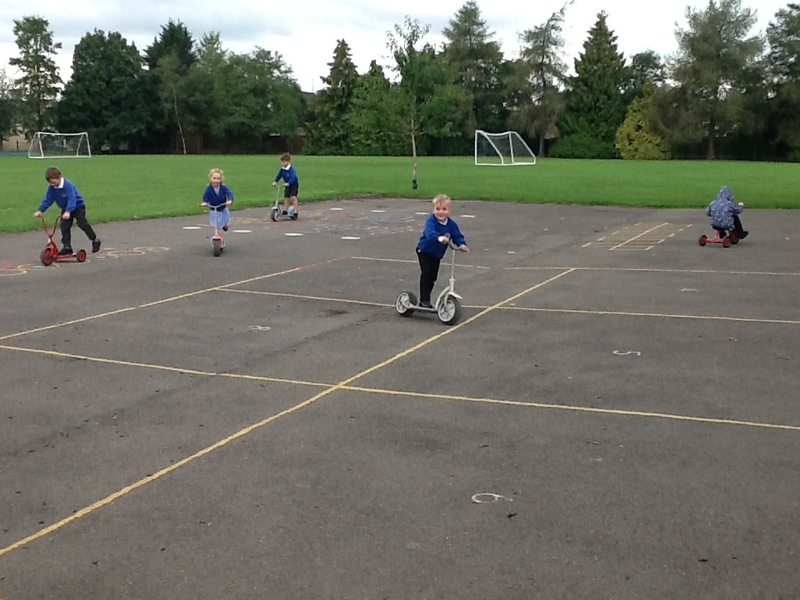 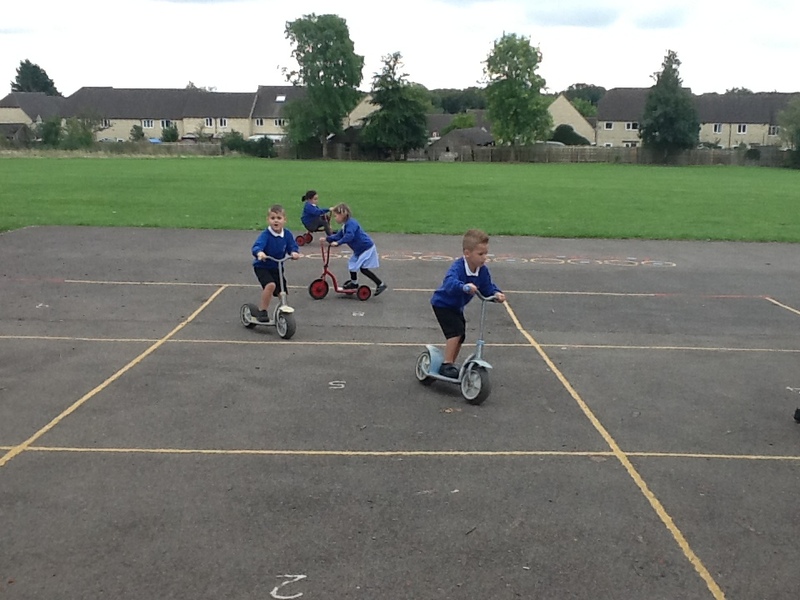 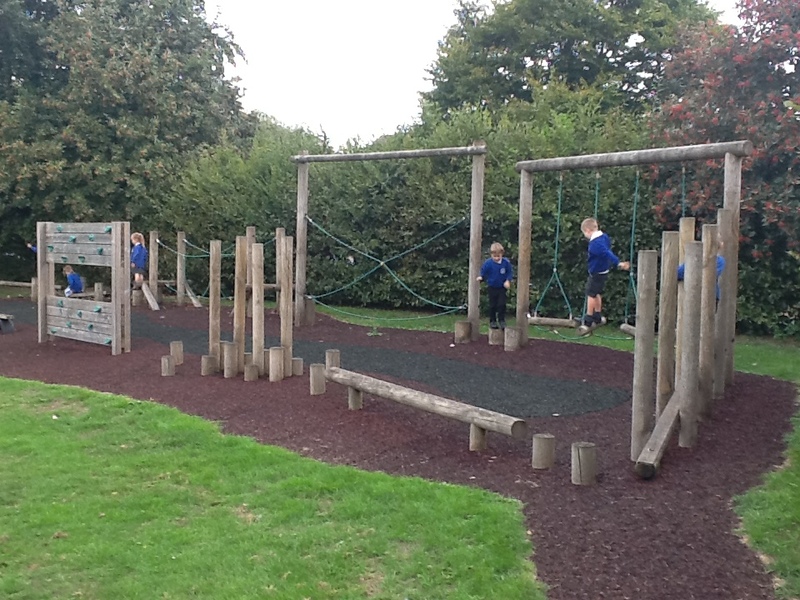 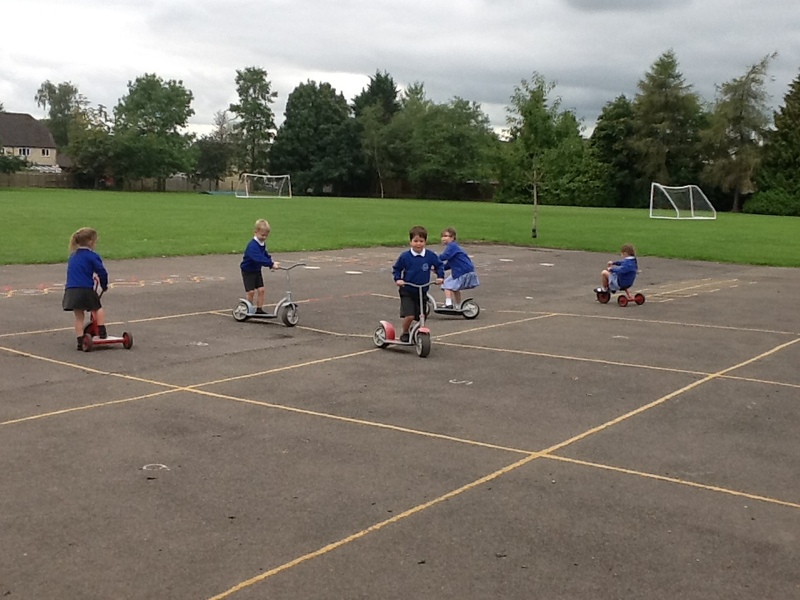 We went outside to find out how to make things or ourselves move and used the PE equipment, Trim Trail , Adventure playground and the bikes and scooters. 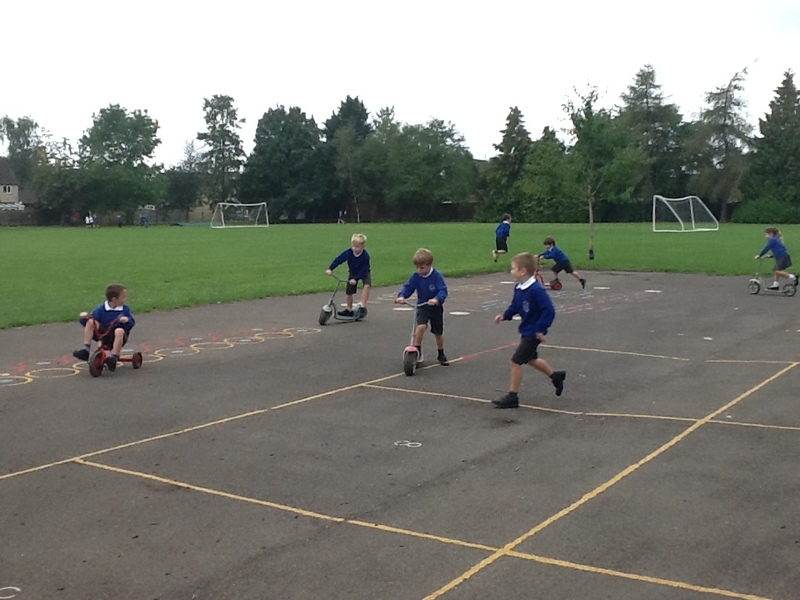 It was a very active afternoon with lots of discussion about whether the children were pushing or pulling to make something move. 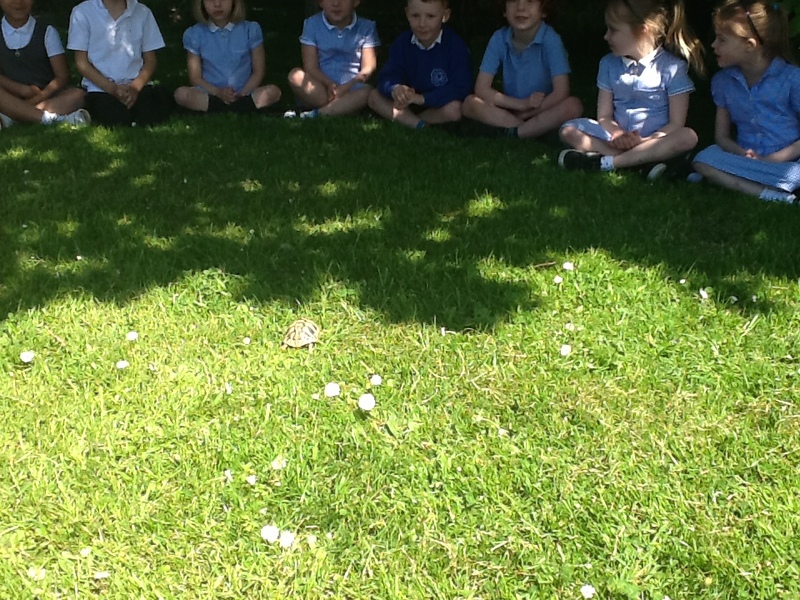 Class One have been busy sharing information about their pets as well as finding out about our school pet. 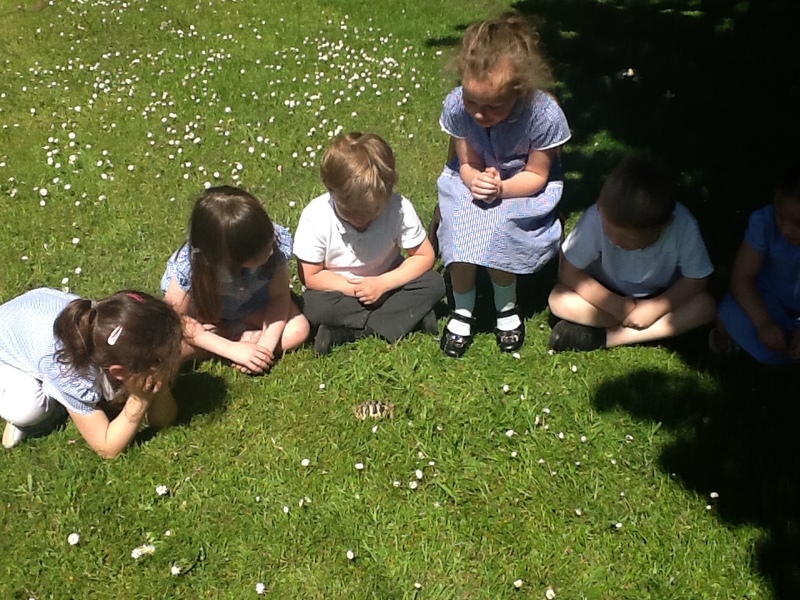 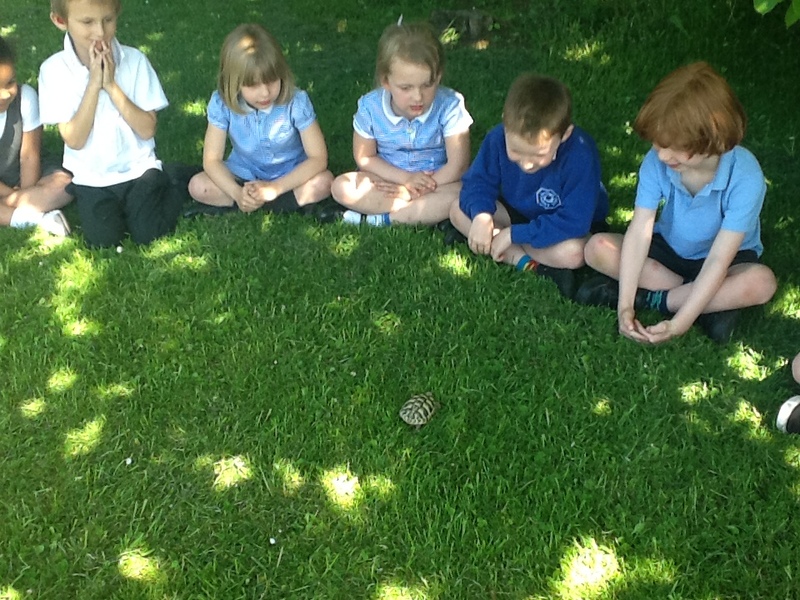 The children enjoyed taking Pickles the tortoise outside onto the school field. 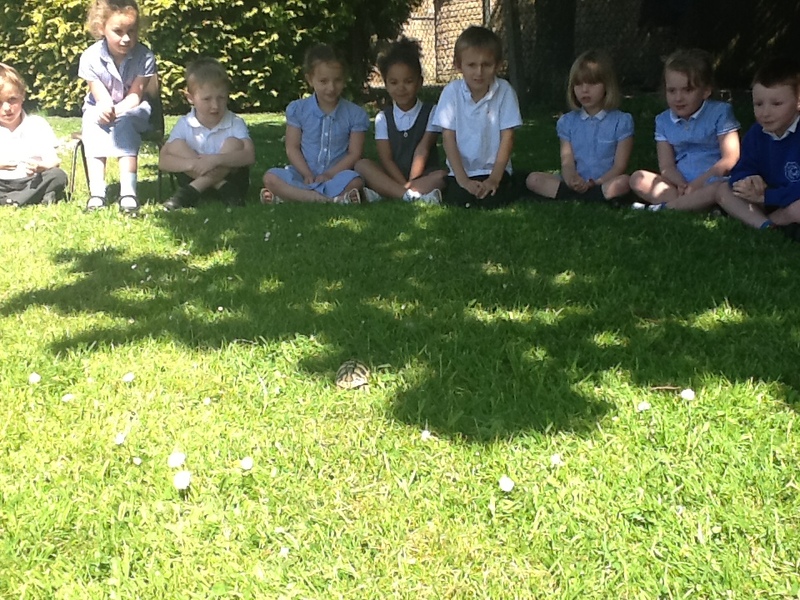 They watched him very carefully as he explored the grass and talked about his special features. 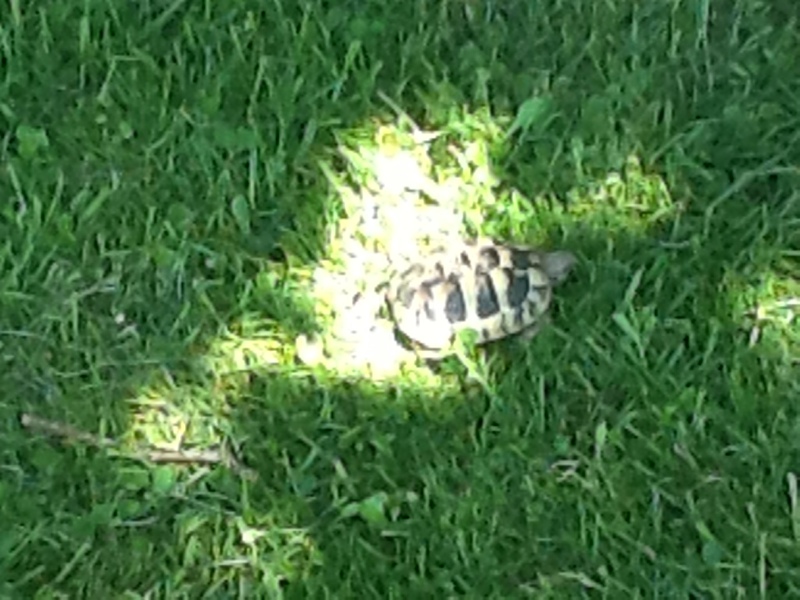 We will be taking him out again very soon and will see how he likes his new outdoor home in the quiet area. 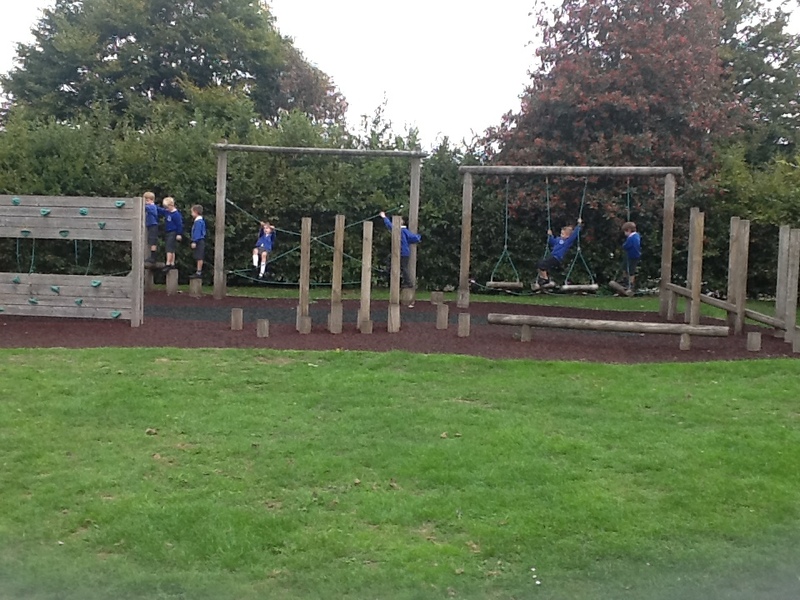 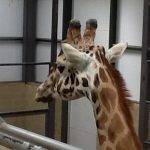 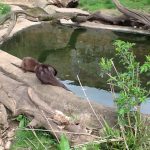 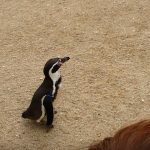 Class One enjoyed a trip to Cotswold Wildlife Park to find out all about the different animals and their habits. 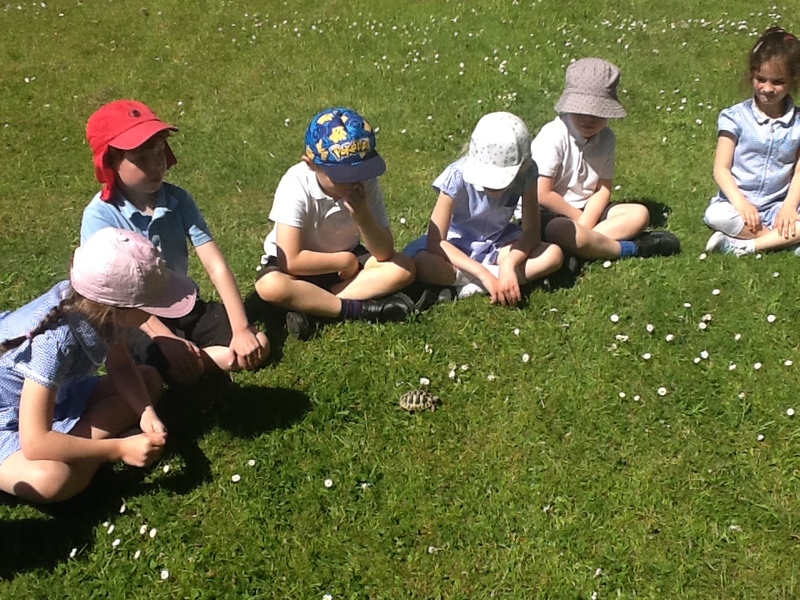 The children were very excited and were keen to observe the animals in the park. 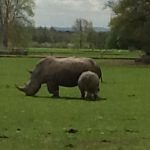 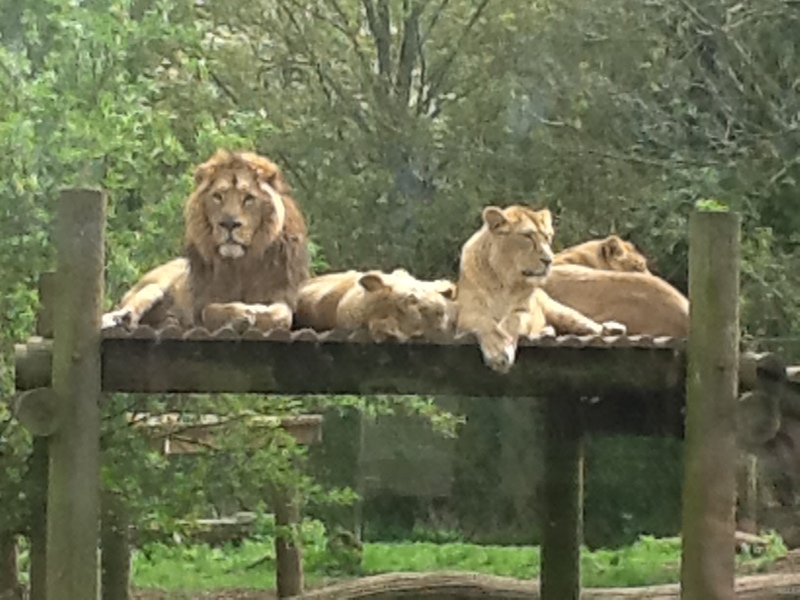 We had found out about the ‘Big Five’ and the children were very fortunate to see lions, rhinos and leopards. 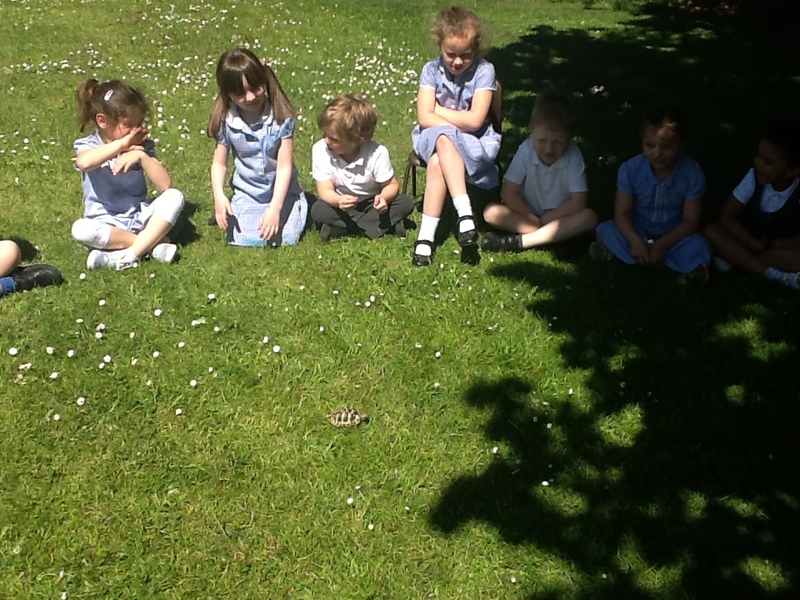 The children listened carefully to the talk about the animals and were able to ask questions as well as offer ideas. 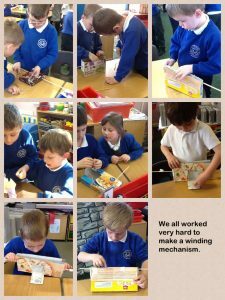 We are now busy finding out about the different animals and will learn about their physical structure, looking at the similarities and differences between the animals. 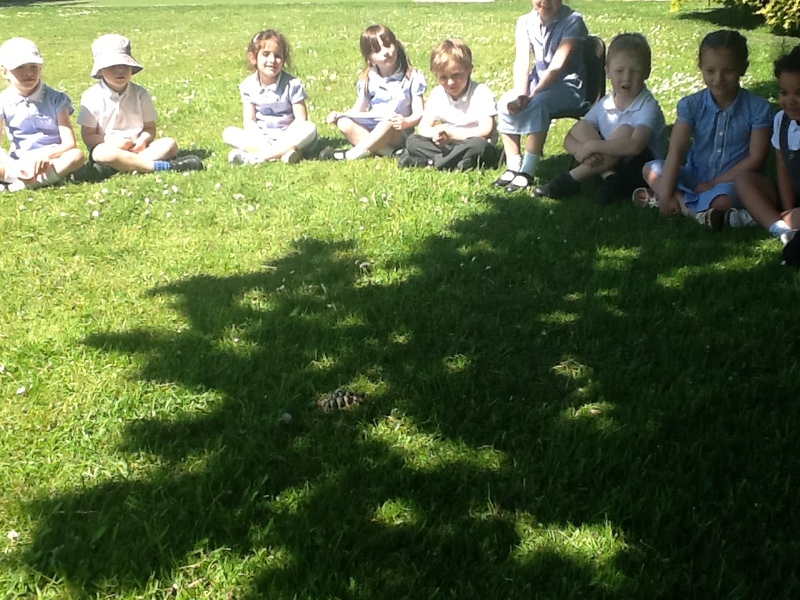 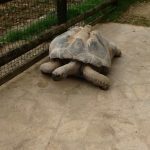 Later on we will find out about their basic needs, their habitats and how they change from babies into adults. 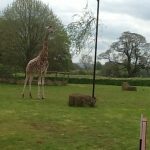 Spring Term 2018 – Fire! 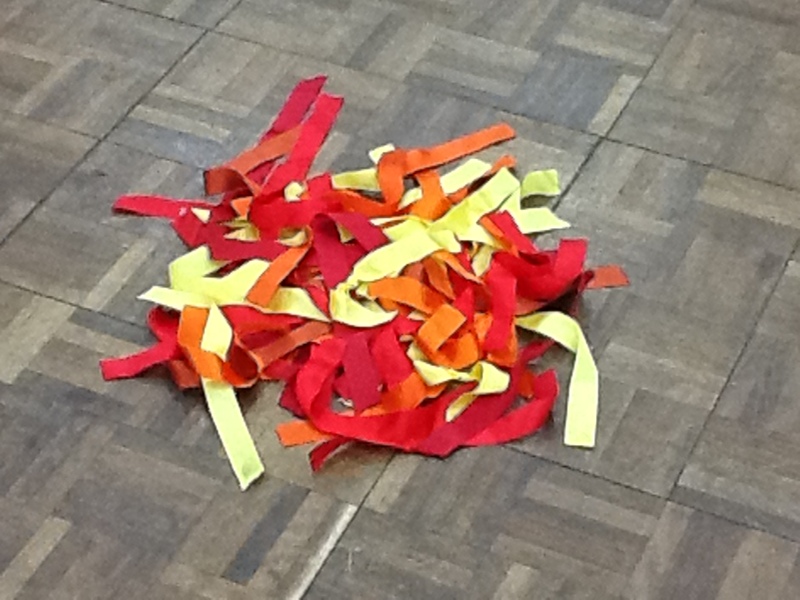 Fire! 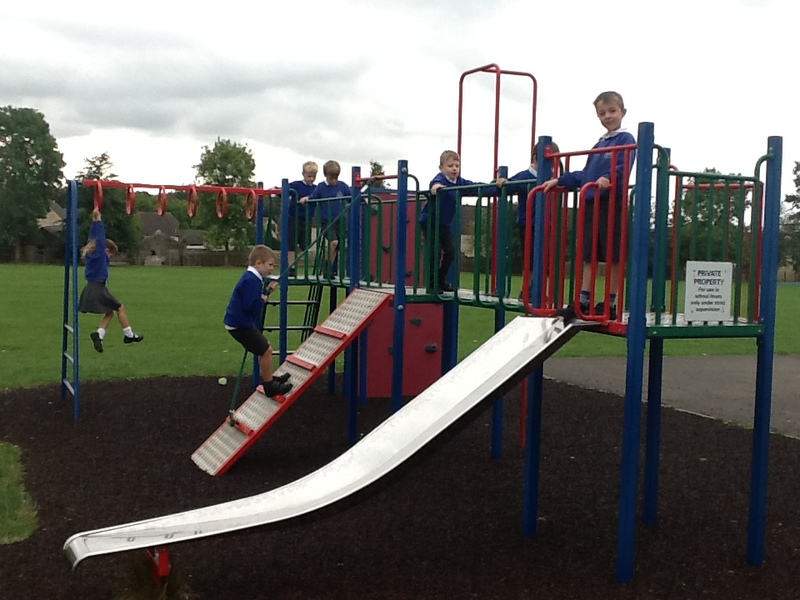 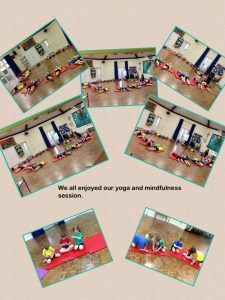 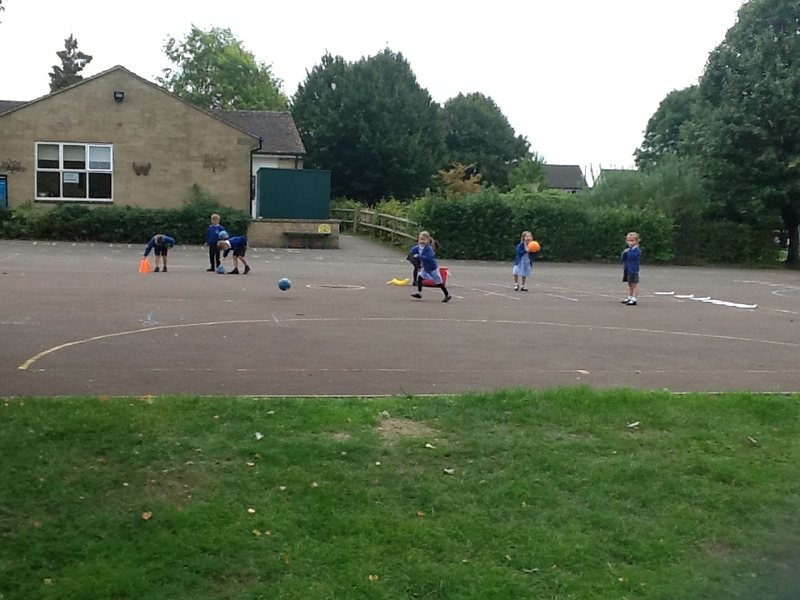 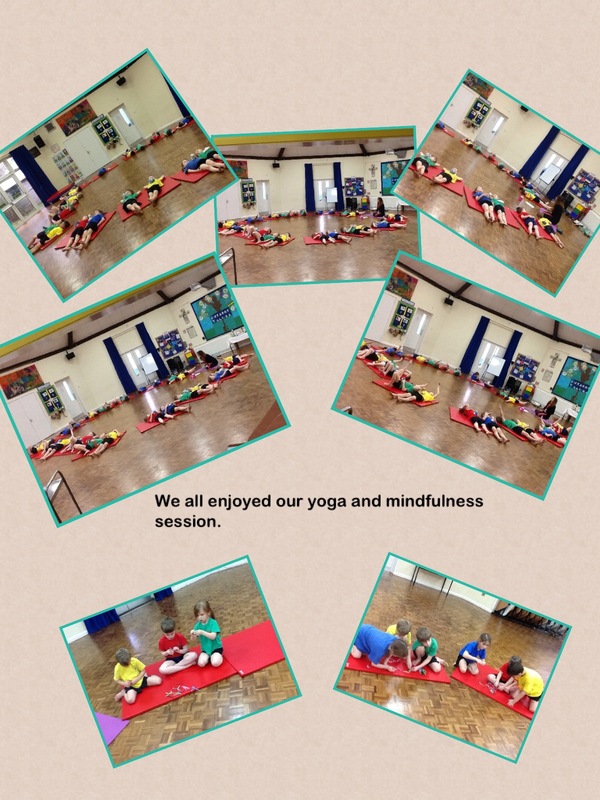 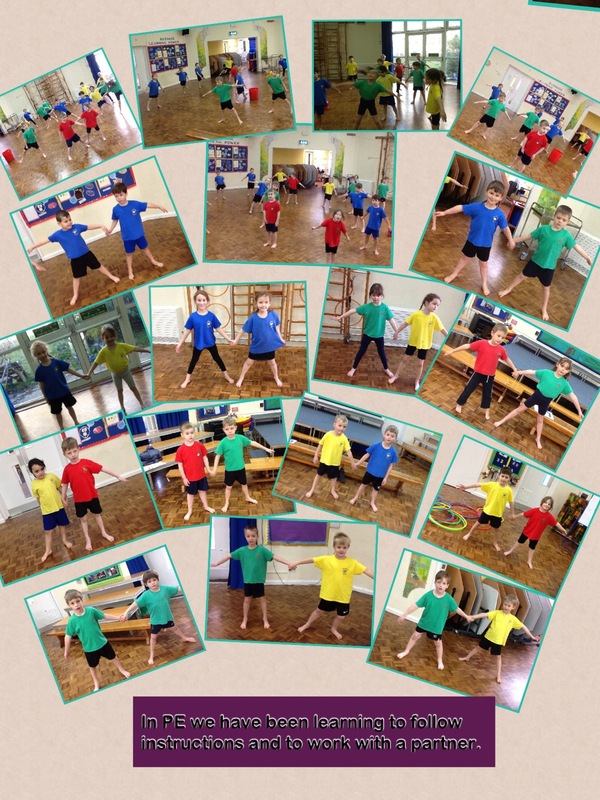 Class One have had a very exciting start to the term. 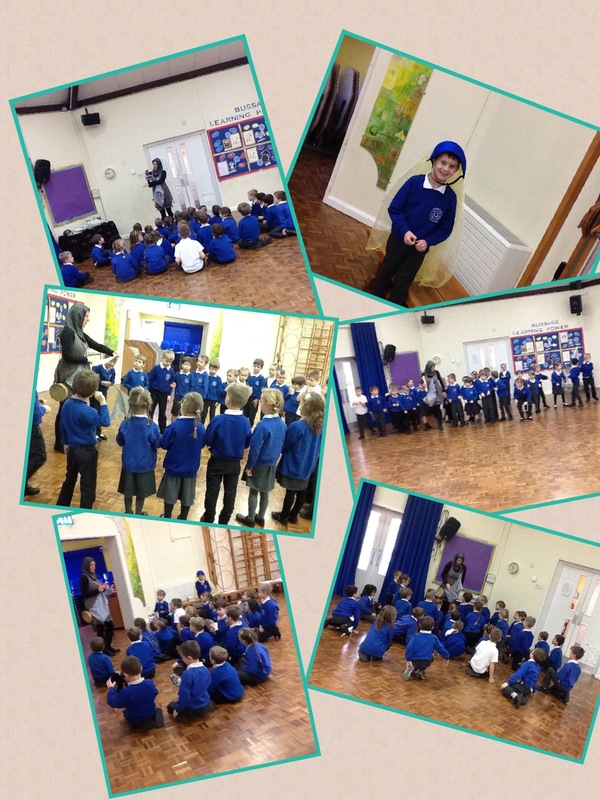 The children thoroughly enjoyed taking part in the drama session where they found out all about the Great Fire of London. 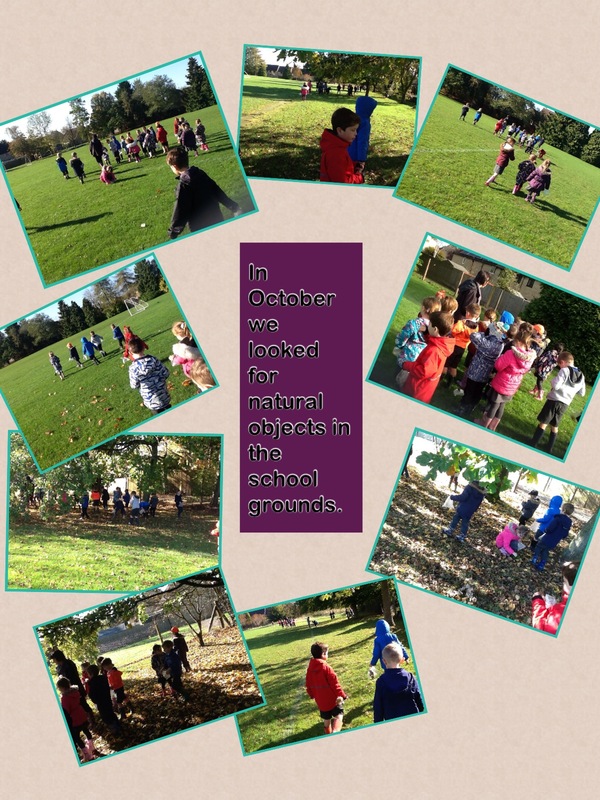 They used movements, actions , dance and rhymes to explore how the fire started, why it spread and how the people of London tried to put out the fire.